The starting point of your journey to mastery of English is our Beginner to Proficient English program. Whether you’re a complete beginner or have been learning English for a while, our Beginner to Proficient English program will take you the rest of the way. We use a combination of online self-study using our Learning Management System (LMS), and classroom based speaking activities. 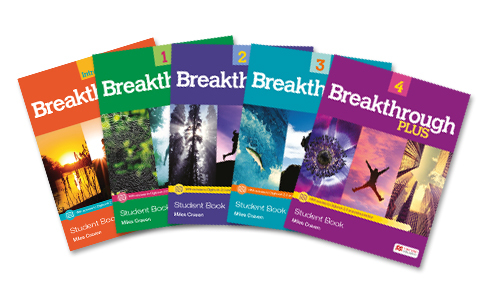 We use the excellent Breakthrough Plus series from MacMillan Publishing as a foundation, supplemented with in-house materials developed using our 20 years of teaching experience. One course will take about 72 hours (6 hours a unit for 12 units), split between online self-study and classroom activities. The full-time standard course will take about nine weeks (2 hours of classroom activities and approximately 2 hours of online activities a day for 4 days a week). The full-time intensive course will take about five weeks (4 hours of classroom activities and approximately 4 hours of online activities a day for 4 days a week). Part-time courses will take longer depending on your schedule. All five Beginner to Proficient English program courses will take 45 weeks with the full-time standard option, or 23 weeks with the full-time intensive option. If you would like to know more or have any questions about our Beginner to Proficient English program, please don’t hesitate to contact us by clicking the button below.